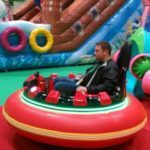 Beston ice bumper cars for sale are leading the trends of the ice rink bumper car market and have been widely accepted in this market. Beston bumper cars on ice have the advantages of the positive and the negative rotation in situ, flipping back and forth in a second, the unique rebounding experience after collision, easy operation, fairly safe, and so on. And it can be used both in the flat and smooth ground, and in the ice rink. Passengers on the bumper cars for ice can collide with each other on the ice, more thrilling and interesting! They can fully experience the pleasure of operating and colliding on bumper cars that they have never seen before. 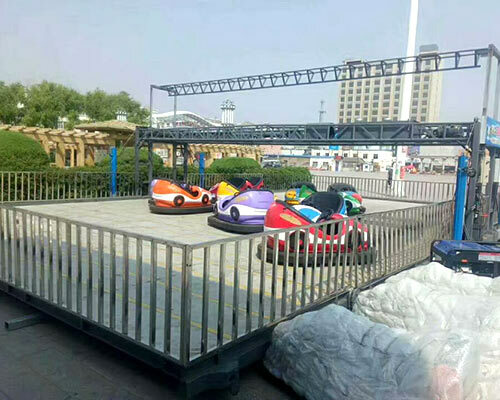 In this way, this kinds of battery bumper cars are always selling well around the world. 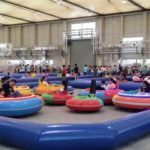 This kind of inflatable bumper cars is often applied to amusement and theme parks, scenic spot, square and other public areas with a thick stream of people. 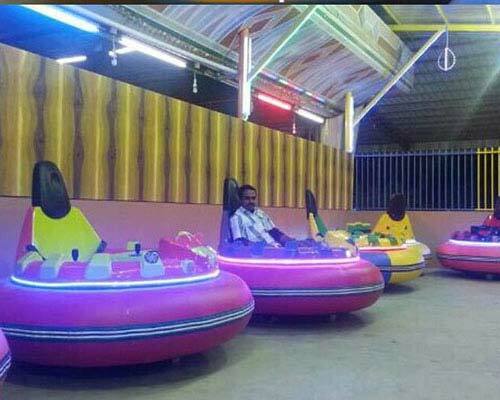 Bumper cars for ice are a kind of inflatable bumper cars or spin zone bumper cars, which are powered by battery. Bumper cars on ice adopt the unique double-driving wheel with independent control system and outer-ring airbag to reduce the collision pressure. This bumping cars on ice can spin around on the spot, and move back and forth freely, which just like the UFO. So, ice bumper cars have the name of UFO bumper cars. And it will be gentler when two bumper cars collide into each other. The ice bumper cars can converse collision into rebound, making it have highly entertaining. Kids and adults can play alone or play together, and both are interesting. Looking for to buy bumper Cars on Ice for sale? 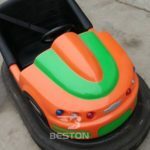 Beston bumper cars for ice are manufactured with superior quality materials, which makes it have a longer service time. The bumper cars body is made of fiberglass reinforced plastic (FRP). The frame of the bumper cars are high quality steel. The outer-ring airbag uses the rubber with high quality. The whole bumping cars are strong and durable, and easy to maintain and clean. It can be remote controlled or start with a swipe card. What’s more, it can be used in the general flat and smooth ground, and on the ice. 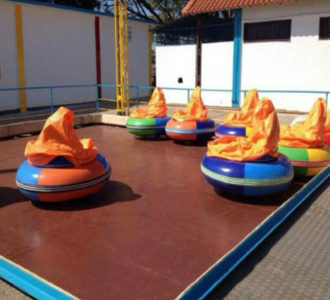 This ice bumping cars will not be affected by the change of seasons, which means to add a new entertainment in the winter without investing in more funds. Bumper cars on ice are worthy of investing for wise investors. 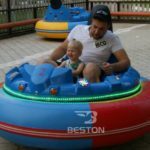 Why Choose Beston Ice Bumper Cars for Sale? 1. Highly entertaining. Compared with the common bumper cars, ice rink bumper cars are more thrilling and filled with more fun. The ice rink is smoother than the general ground, so bumping cars on ice can move in a higher speed. 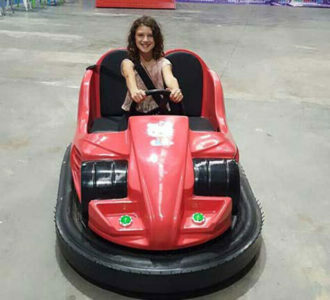 When two or more cars collide into each other, under the action of collision force and rebound force, the bumper car rides will produce a big drift, which accompany with sudden turn and spinning, more thrilling. 2. Easy operation. 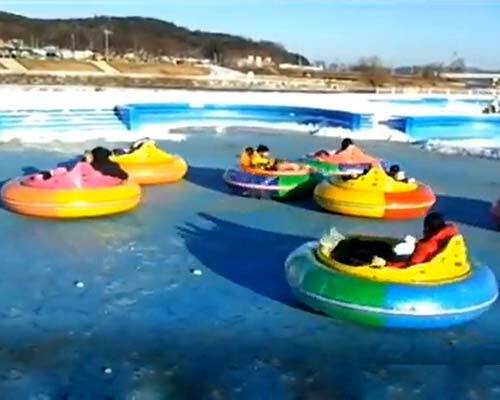 Compared with other activities, ice bumper cars are easy to operate. Passengers just need to remember some buttons. Both kids and adults can adapt to it in a short time and then they will have fun on it. 3. High safety. Beston adopts with the buffer airbag around the outer-ring, which can greatly reduce the collision force. And it can produce a considerable drift to avoid the uncomfortable feeling of inertia weightlessness, roll-over and other accidents. 4. More energy saving. It adopts the three-grade gear speed rotation. It reduce the power of operating to a minimum under the action of this gear, when it is running on the ice. Therefore, it obviously reduce the battery consumption, which means the 40% of electricity-saving, and at the same time, saves the operation cost. 5. Long battery life. 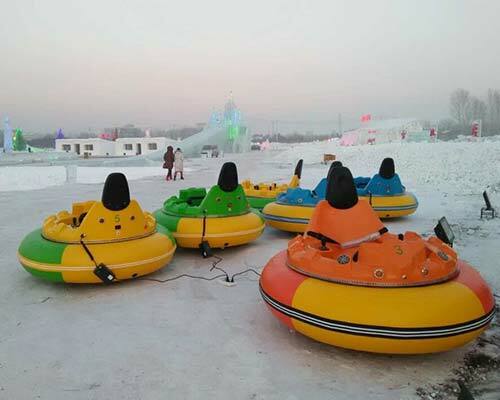 The inflatable bumper cars for ice rink is driven by battery, which is environment friendly (no air pollution). And once it is full charged, it can last for almost 8 hours. There is no worry about affecting the normal business because of the interruption of power supply. 6. Attractive appearance. There are different types of bumper cars on ice for customers to choose from. 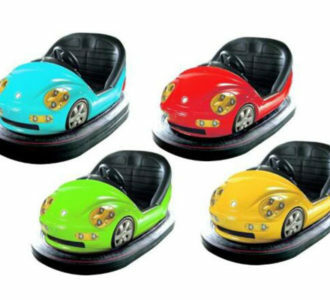 Different types of bumper cars are also differ in colors. 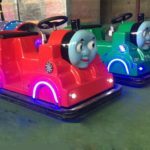 Some are equipped with gorgeous LED lighting and some other decoration, and it can attract much more attention of visitors around. In this way, business owner can bring in more benefits. 7. Lower investment cost. 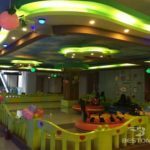 Unlike some other amusement equipment, it takes a lot to install the equipment and sites, which add the cost of investment. 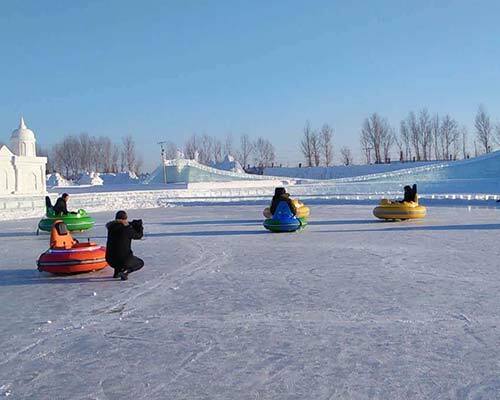 The ice bumper cars can run on the smooth ice freely. In the winter or some areas with lower temperature, just pour or releasing some water and the bumper cars can run on it next day, so easy. 8. Long service life. 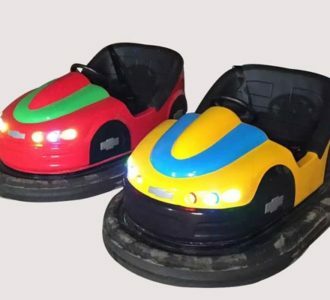 The power of ice bumper cars comes from the battery, and the current output is stable, which has little harm to the battery. It can makes the bumper cars last longer and earn more benefits for investors. 9. 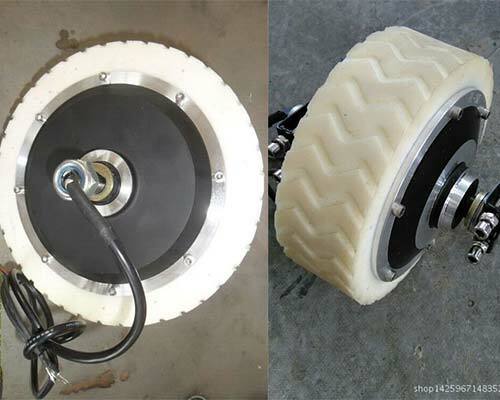 The unique design of ice bumper car wheels. 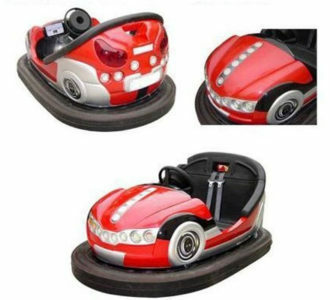 This design can make the bumper cars safer, run stably, long use and so on. 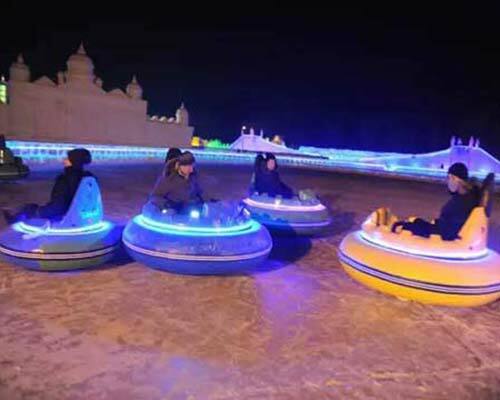 Ice bumper cars cost is different in different countries or for different manufacturers in the same countries. 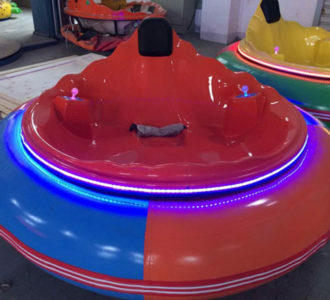 Beston group, the professional amusement park bumper cars manufacturer, manufactures our own bumper cars within our factory. Though we have decades years of producing this kids and family rides and possess sophisticated technologies, we never stop our steps to update our techniques. 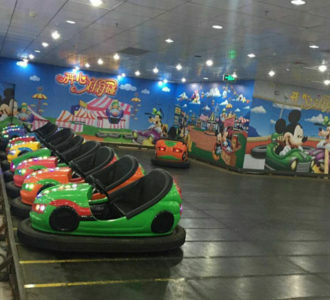 Nowadays, our factory own the most advanced production techniques, and can manufactures the best quality ice bumper cars at the lowest cost. 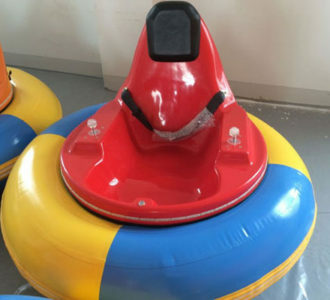 So, please feel free to contact us to buy an ice bumper car rides at a reasonable prices. Do you want to promote your business in the cold day? Are you eager to attract more consumers for your parks or malls in the cold winter? Do you have no idea what to boom your business in the lower temperature? Now, there is no need to worry about those right now! 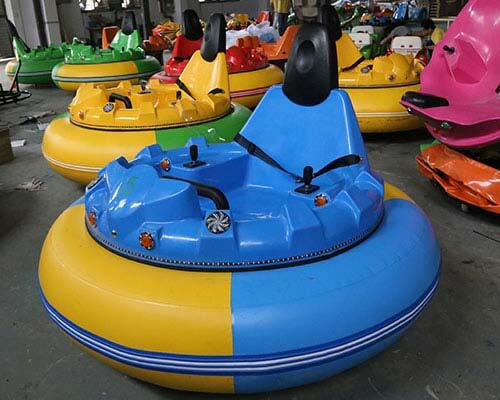 Beston bumper cars are waiting for you in our factory! Do not hesitate to make an order now! Otherwise, you will lose your chance to promote your business to higher stage!